This is the most famous Makham of all Chennai Dargahs and attracts people of all faith from all walks of life including music director, A.R. Rahman, who visits every Thursday, Arcot Prince, High Court Chief Justice and various famous icons of various industries. 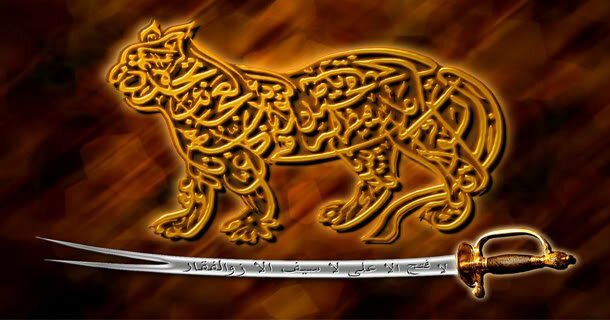 Hazrath Syed Moosa Shah Qadri Baghdadi (RA) arrived from Baghdad Shareef in the middle of the 17th Century (450 years back) and lived on the site of what is now better known as the Mount Road Dargah. 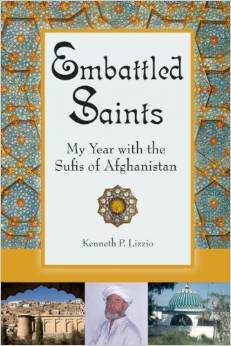 In life, Hazrath Syed Moosa Shah Qadri Baghdadi (RA) is said to have had great healing powers. 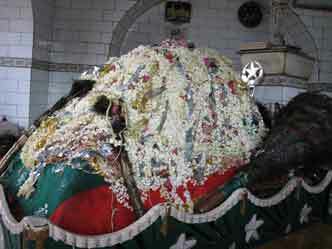 When he died, he was buried next to his house and here his family raised the Dargah Shareef. And to it have flocked the sick over the years, seeking the benefits of healing from his spirit. When a British engineer in the past ordered the shrine to be demolished for road-widening, his workmen refused to proceed with the work when, at the first attempt at excavation around the building, blood spurted from the soil. When the engineer forced them to resume work, he collapsed – dropped dead, say some – the moment trenching began again. It is the faith in Hazrath Syed Moosa Shah Qadri Baghdadi (RA) that draws people of all faiths to the Dargah Shareef every Thursday, seeking assurances of good health, answers to their prayers and the blessings of the holy. The Dargah Shareef, looked after by the descendants of Hazrath Syed Moosa Shah Qadri Baghdadi (RA) from the time his Dargah was raised, is however, only a part of the campus today. Dominating it in recent times has been one of the largest mosques in South India, with a 100-feet tall minaret. The five-storeyed Makkah Masjid, with its five 5000 sq.ft. halls that can accommodate 5000 worshippers at a time, may be a landmark, but it is the spirit of Hazrath Syed Moosa Shah Qadri Baghdadi (RA) that make this, one of the city’s holy sites. The Minar-e-Pak at Dargah-e-Hazrath Syed Moosa Shah Qadri Baghdadi (RA) is quite prominent apart from the LIC building and the Tarapore Towers in Mount Road. 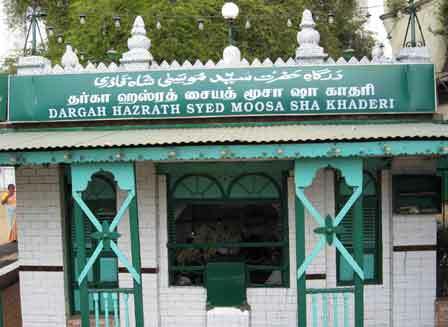 Dargah-e-Hazrath Syed Moosa Shah Qadri Baghdadi (RA) is located in Anna Salai, formerly known as Mount Road, is the most important arterial road in Chennai, India. It starts at the Cooum Creek, south of Fort St George connecting with St. Thomas Mount in Saidapet. This 15 km stretch of road running diagonal across the city has become the hub of business for the city. It has been developing in a large pace in the past century. The British developed this road during the colonial era, and they named it as Mount Road, after Little Mount, till which the road extends. Later on, the road was renamed as Anna Salai by ex – Chief Minister of Tamil Nadu. The word ‘Salai’ in Tamil translates to road in English. Anna Salai is maintained by the National Highways Authority of India. This is the only road in Chennai where lane system of traffic is followed. Needless to say, anywhere from India, you have access to Chennai through air, roads and railway. If you are reaching Chennai via bus, please get down at Chennai Mofussil Bus Terminus (CMBT), Koyambedu and from there, please pick up a bus for “Anna Salai urf Mount Road and ask anybody about the Dargah and they may guide you well.